YES! 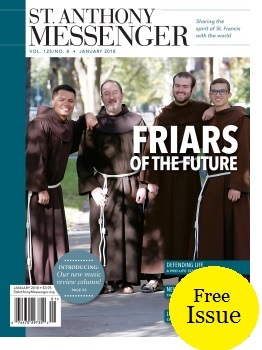 Send me an issue of St. Anthony Messenger FREE, with no obligation. If I like it, I will get 12 more issues (a full year + my FREE issue) for $39.00 only $10. That's a savings of $29.00 off the regular price of $39.00.